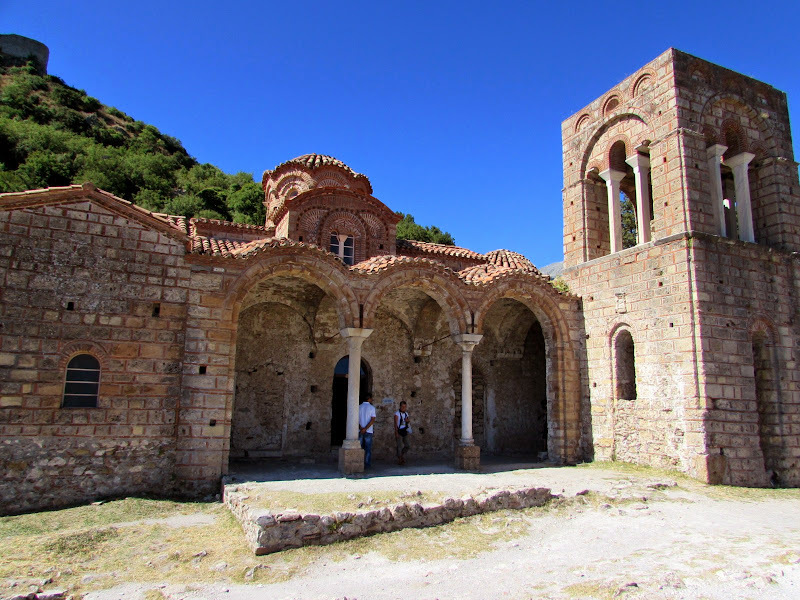 Starting from the ticket office at the Upper Town, the path begins to descend, past Nafplio Gate and you reach the small church of Agia Sofia, with some interesting frescoes. From here the view across the valley is great, with the Palace of Despots (in restoration) which dominates the landscape. 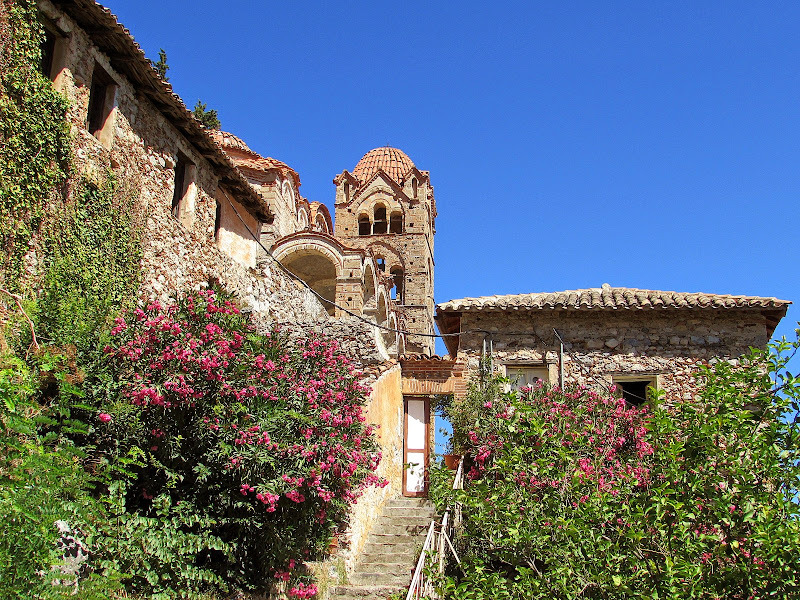 Further downhill, Monemvasia Gate is the access to the Lower Town. Making sure to take the path that goes to the right immediately after the gate, you can reach the most valuable building in Mystra: The Pantanassa Convent. 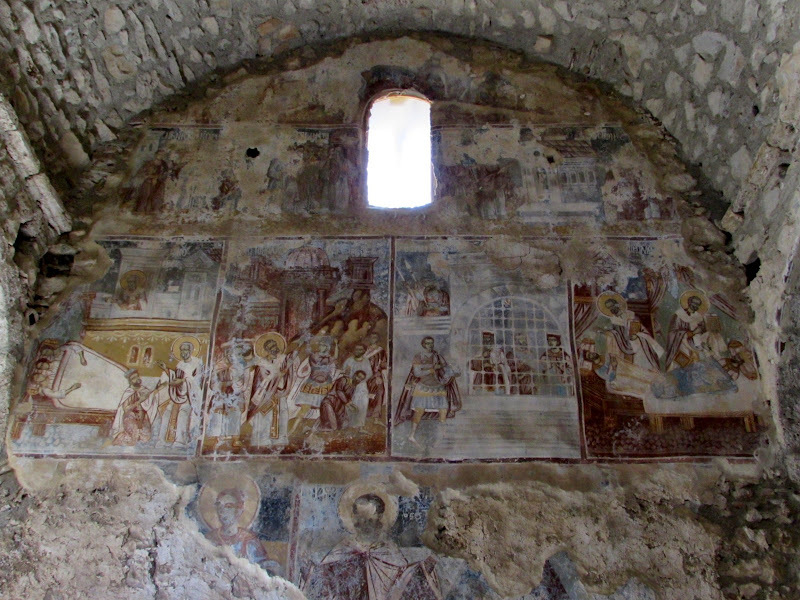 The church, which dates back to 1300, is the only one still inhabited by nuns and enchants visitors with already beautiful frescoes, the apotheosis of Byzantine art. 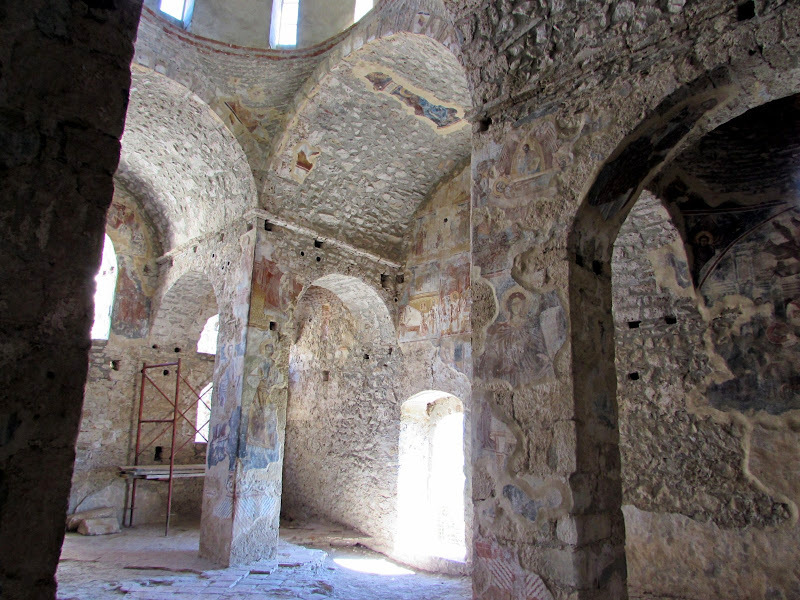 Continuing you can see the small and peaceful Perivleptos Monastery dug into the rock, with fourteenth-century frescoes still intact and where you can access some ancient private residences. Just before the release is the beautiful Mtripolis, with a magnificent stone facade and its remarkable interiors that include sacred furnishings and a throne in finely decorated wood. 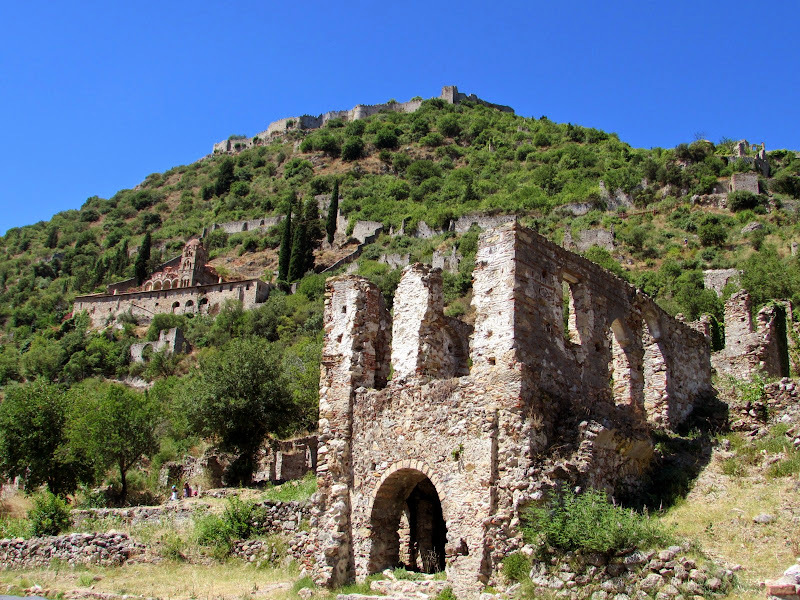 The visit of Mystra is usually divided between the lower town and the upper town, both with parking and ticket office. 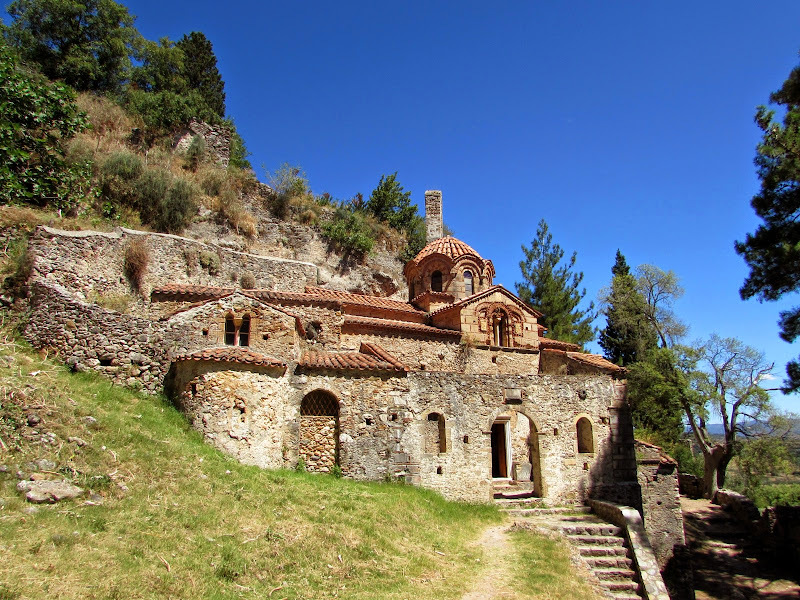 However, some buildings, including the monastery of Pantanassa, are located in the middle path, which makes necessary a strenuous climb. 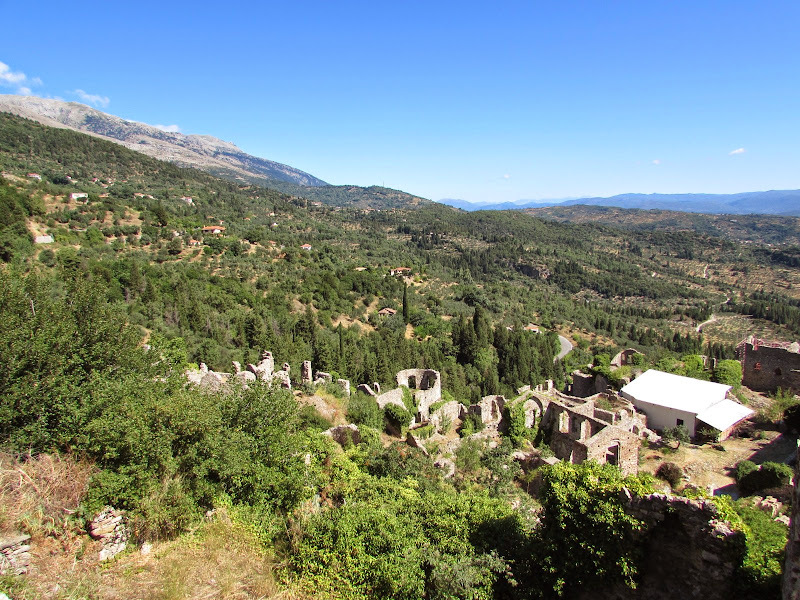 The most convenient way to visit the whole site is to leave the car at the lower parking lot and climb higher with the entrance half: sometimes found the taxi waiting at the bottom that will lead you to the upper town to the modest price of 4 euro. Alternatively, just wait on the street and ask a few cars in transit passage for the top ticket office. From here you can climb briefly to the castle ruins or begin the path down which touches all the main buildings to reach the lower town; time about 2.5 / 3 hours. From avoid the hottest hours even if the area is often ventilated and part of the track is shady. Best place to stay for visit the area is Monemvasia; I had a great time at HOTEL PANORAMA, immacolate rooms and great location.